The Academy Award for Best Film has been awarded to both hero and heroine journey films. A few of the winners (such as The Artist ) have a hero’s journey arc for one character and a heroine’s journey arc for another. The chart below identifies the Academy Award Winners for Best Film in the last twenty-five years and whether we felt the leading protagonist’s narrative journey was a hero or heroine journey. In the case of Crash, which follows multiple characters whose lives are affected by a car accident, we viewed the story as a whole. 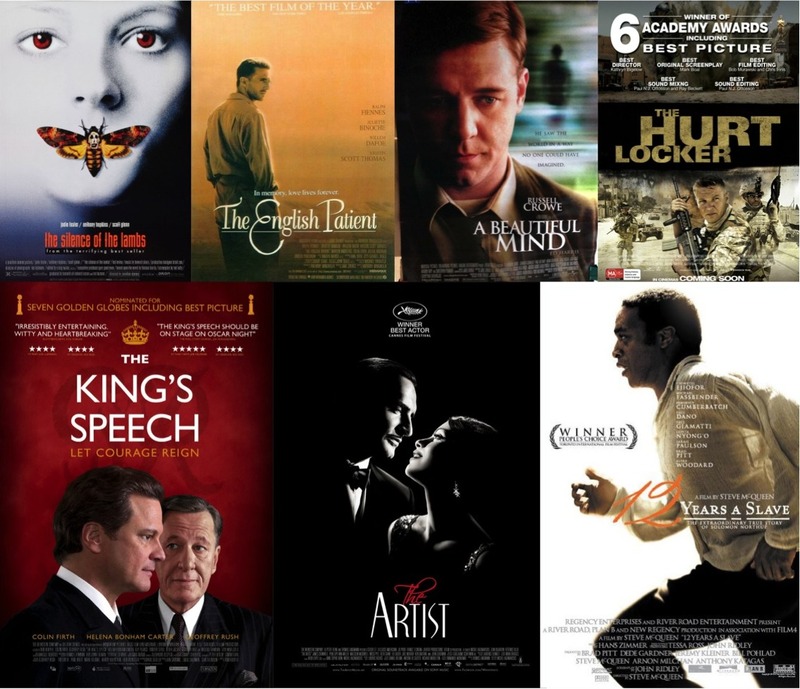 Though the majority of the winning films follow the Hero’s Journey pattern, there has been a significant increase in Heroine Journey films receiving the award in recent years. This sampling reinforces our observation that literature and films with Heroine Journey arcs most often female protagonists or men who are marginalized due to an unusual characteristic or prejudice. Year Winning Film Hero or Heroine’s Journey? 12 Years a Slave: disenfranchised African American male protagonist who is enslaved. So, couldn’t you argue that the ‘heroine’s journey’ isn’t so much the journey of a female so much as that of a member of society suffering an imbalance with another member/group? Women are a large group of these people, but not the masculine/feminine binary seems one of any possible stories told with this model. The essence of the Heroine’s Journey isn’t who the protagonist is, but the nature of the journey. The Hero’s journey ends with the hero bringing a treasure or insight back to his/her community and then being recognized as leader and assuming leadership/ wisdom role in community. The heroine’s journey may start out this way, but the heroine is never treated or accepted as community leader for long. He /she must continue to search and find wholeness, e.g. acceptance of self and world without either/or, good/bad, self aggrandizement/self-sacrifice, etc. — e.g. without binaries. Rose, The Heroine’s journey is, at bottom, a journey toward wholeness and embracing all of life, rather than a journey that ends in conquest, superiority or leadership. Many would say its the post-hero journey and certainly is not limited to women. But society has an interest in preserving the hero’s tale as the dominant narrative because it supports and top-down hierarchy of the world, and promises that if one tries hard then one can become king, and bring riches to one’s own self/kin/people. Thus it supports a capitalistic and individualistic orientation (and tends to also support blaming those that don’t succeed as if success is always merit-based). The reason that the journey toward wholeness is associated with women and minorities is that women and minorities or non-dominant members of the society can win for a moment (such as a race or a single battle) but usually are undermined soon afterwards by those who are threatened by an upending of traditional power relationships. We called this our site the heroine’s journey because this is what the alternative to Joseph Campbell’s Hero’s Journey is generally called. Wow! I loved that last post. It makes so much sense. So if the journey towards wholeness is the heroines journey and if enough of us do this journey maybe we can reach a critical mass and change everything….